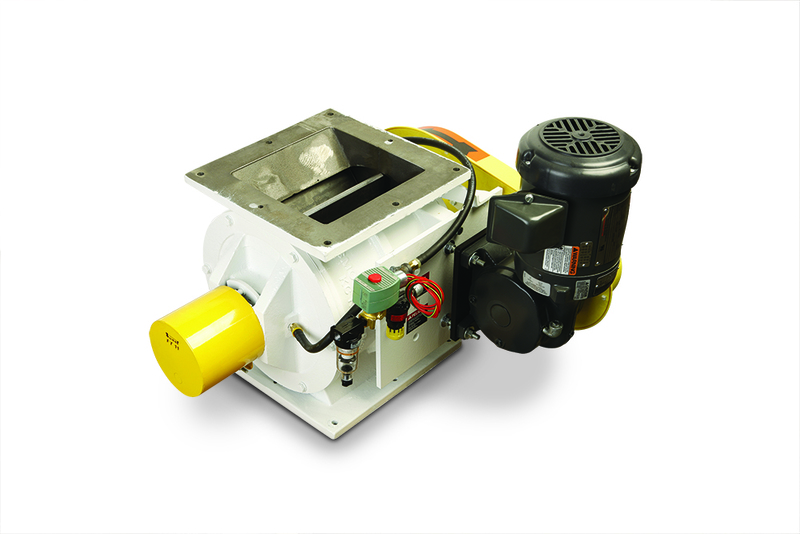 The Super Abrasive Resistant Rotary Valve Type-6 Airlock is our abrasion resistant rotary valve made for the most abrasive environments. More often than not, the Type-6 has become the “paramedic” valve, coming to the rescue of pneumatic conveying systems, that due to bad design, changes in material, or just bad luck, wear out regular valves. 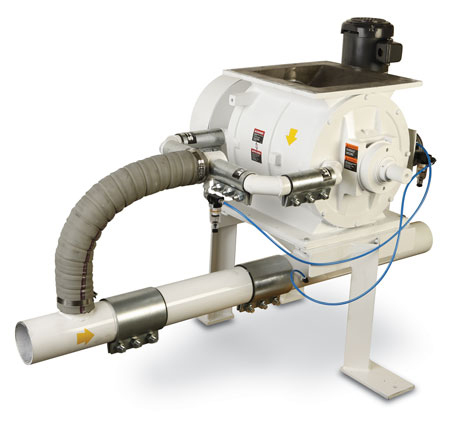 It is also used more and more as an “insurance” valve where it is being put into locations that are hard to get to, very expensive to get to or applications where it is very expensive to have to shut down the system to replace a rotary valve. 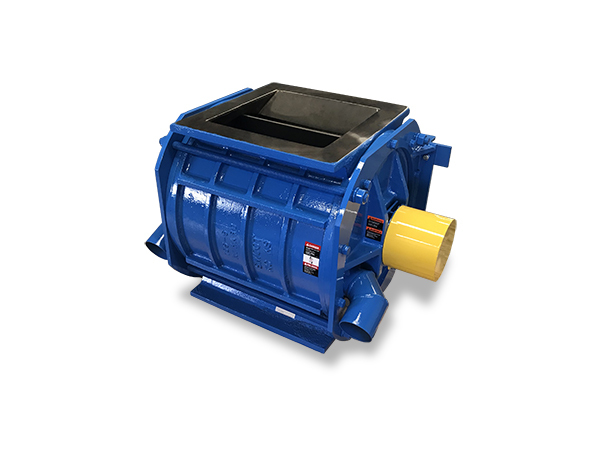 What makes the Type-6 rotary valve our super abrasion resistant valve is the closed end rotor that has a Stellite coating on the tips and shroud, a housing made from a NiHard casting, and mild steel endplates. 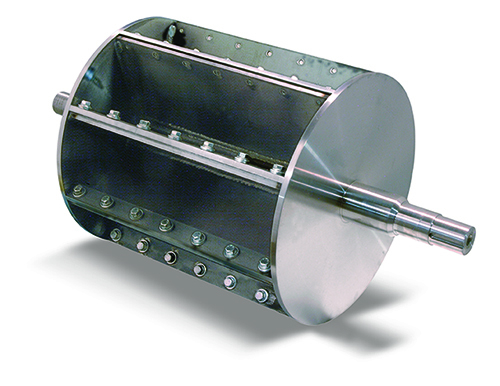 The Type-6 rotary valve really shines when coupled with our patented cavity air purge system on airlock applications.